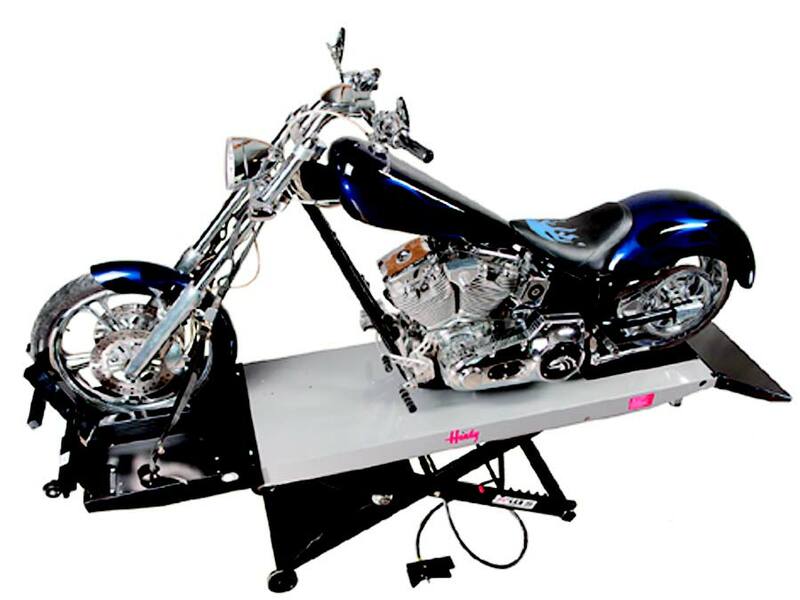 Mile-X Equipment Inc. carries a large stock of USA made Handy motorcycle lifts. Lifts can be purchased in either air or hydraulic, with lifting capacities from 1,000 up to 1,800 lbs. Optional accessories to customize the lift include drop-out panels, side/front extensions, tool trays, scissor jacks, wheel vises and lift dollies.